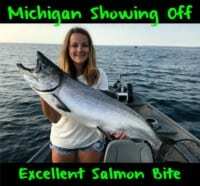 For Great Lakes steelhead anglers, spring is about as good as it gets. 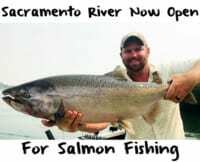 At no other time of the year are there more opportunities to catch these great fish in the tight confines of the rivers and streams that feed the five “inland oceans”. In addition to the massive migrations of spring chrome, anglers are faced with turbulent water conditions that can often change multiple times in a 24-hour period. Water levels, water temperature and water clarity all play critical roles in not only where steelhead can be located, but also in their activity levels. Being able to decipher these changing conditions, and react accordingly, can mean the difference between fishing and catching. In 20+ years of guiding this region, I’ve learned to apply specific baits and techniques to whatever condition I may encounter on any given day. In this blog, let’s concentrate on water temperature and how adapting to it can provide success. For me, if there was one single factor that affects spring steelhead more than any other, it’s without a doubt water temperature. I produced a DVD in 2005 entitled “Temperature Rising: Spring Steelhead” that dealt exclusively with water temperature and its affects on migrating spring steelhead. In it we broke water temperature down into four distinct temperature ranges that will be encountered on every great lakes tributary throughout the spring (under 37*, 38*-40*, 40*-46*, and 46*+). Without going into great detail here, the gist of what you need to know is this: as water temperature rises, so does the metabolism of a steelhead, which translates into increased activity. With increased activity, a shift also occurs in where steelhead will be located. As water warms, steelhead will move from slow “winter water” to quicker, generally shallower, water. To capitalize on these changes, I’ve found offering different eggs for each condition can greatly increase catch rates. In this blog I want to touch on the first (or lowest) two water temperature ranges and how I like to approach them. • Under 37*: Cold, winter conditions will find steelhead very lethargic and requiring less food (due to a very low metabolic rate). Using a very natural, “non-threatening” egg is key in these situations. Steelhead will move very little from their preferred lies at these temperatures, so scent becomes key in letting them know an easy meal is on its way before they’re able to see it. In these conditions I fish dime to nickel size spawn bags tied with Pautzke Balls O’ Fire eggs in Gold Label, Orange Deluxe, and Green Label. Another key I’ve found to keep a good scent trail is using Pautzke Nectar. I’ll keep a small container of Nectar available to dip the spawn bags in. Let the fish tell you how often you’ll need to dip the bags in the Nectar, but I can tell you that doing it after every drift is what I do more than anything. 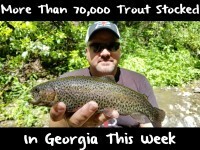 • 38*-40*: It’s hard to fathom that such a small increase in water temperature can create such havoc and change, but this is the “jump” in water temperature each spring that many anglers look forward to. It’s at this change when steelhead begin a serious transition from winter water (slow, deep pools) into shallower, more aggressive water located near spawning flats of gravel. This temperature change is also generally accompanied by rising water that is dirtied from snow or rain run-off. Not only does a shift in location need to happen, but a shift in your bait is essential as well. With decreased visibility due to dirty water, scent becomes more of a factor than sight with your baits. Quarter size spawn bags are more the rule on my boat during this timeframe. I also want an egg that’s going to “milk” more for me, creating more scent. Eggs cured in either Pautzke’s Fire Cure or Borx O’ Fire will fit the bill perfectly. Remember to keep the “dipping Nectar” around as well. As of late, I’m finding tremendous success in brining my eggs (after I’ve already tied them into bags) with Pautzke Fire Brine in Chartreuse. The technique could not be easier (check out Pautzke TV: Niagara River Steelhead for a detailed look at how to utilize this technique) and the results are simply amazing. One of the most appealing things about using chartreuse Fire Brine is the “glow-in-the-dark” property you’ll get from the UV enhancement found in it. The effectiveness of this is seen tremendously in dirty water. Changes in water temperature are the only “constant” spring steelhead anglers will encounter, no matter where they fish. I’m confident if you apply the products I’ve described above, in accordance with the matching water temperatures, you’ll find more success in your spring steelheading!